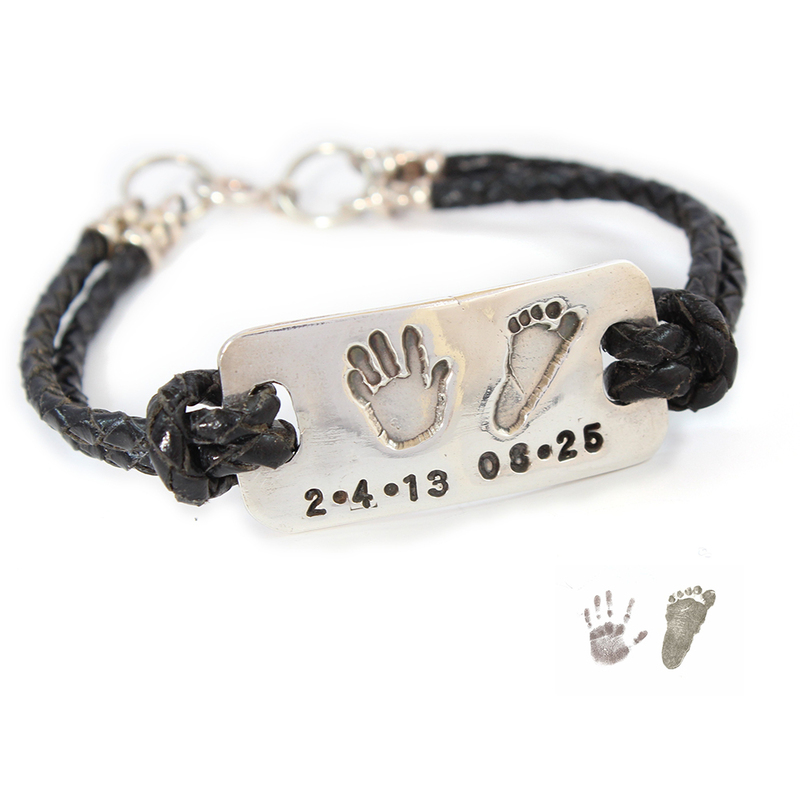 A masculine leather bracelet with a touch of sentiment. 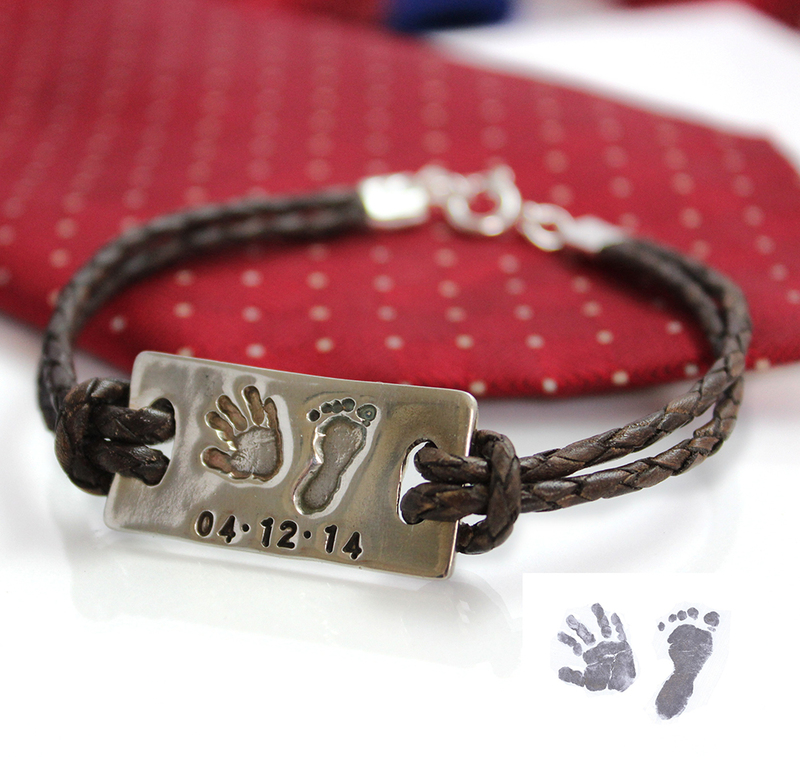 This ID Style Bracelet is a brilliant gift for a sentimental gentleman to keep his loved ones close. What colour Leather Bracelet would you like? Regular measures 3.3cm and will hold up to 2 prints. The large measures 4.2cm and holds up to 2/3 prints. The XL measures 5.2cm and will hold up to 3/4 prints. The bracelet is handmade and fashioned with high quality braided leather in either brown or black. The bracelet is a standard 23cm in length. If you wish your bracelet to be smaller or larger, you will be able to indicate this on the order form. There is no charge for the variation. 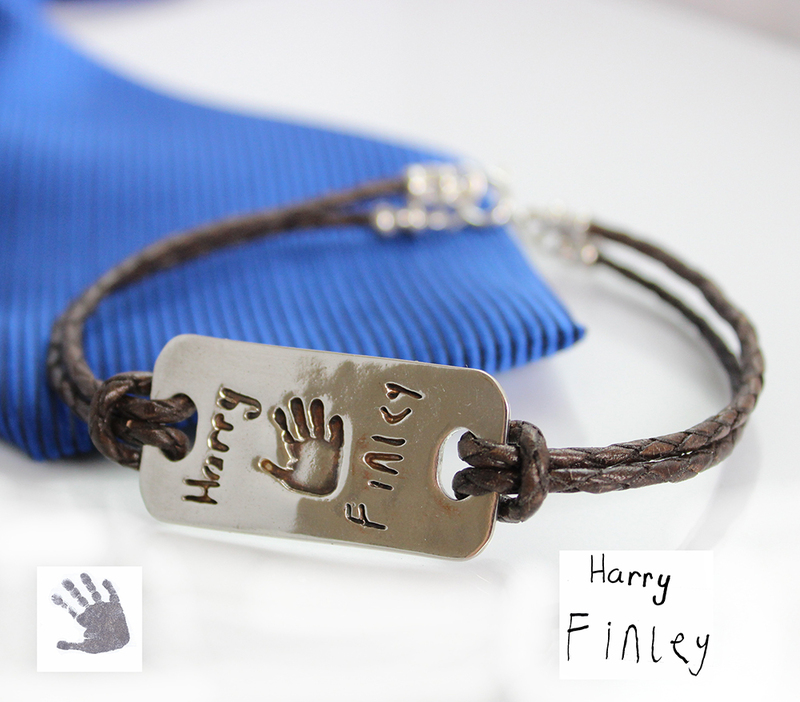 Your bracelet can be hand engraved on the reverse or space permitting on the front with a short message or names. 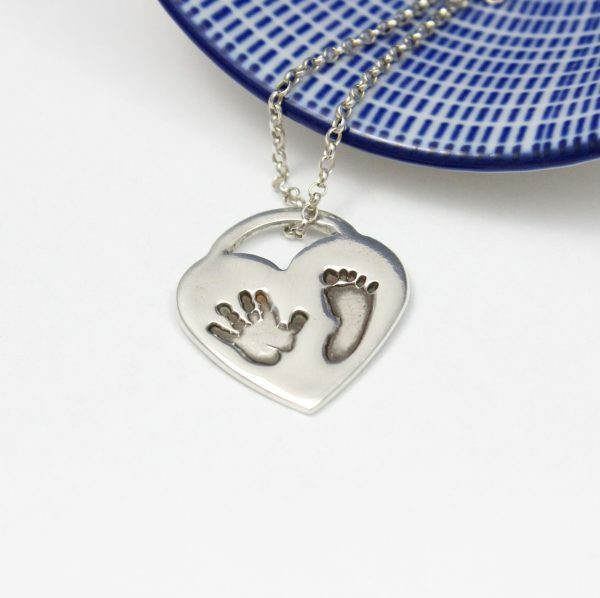 Initials can also be positioned alongside prints. 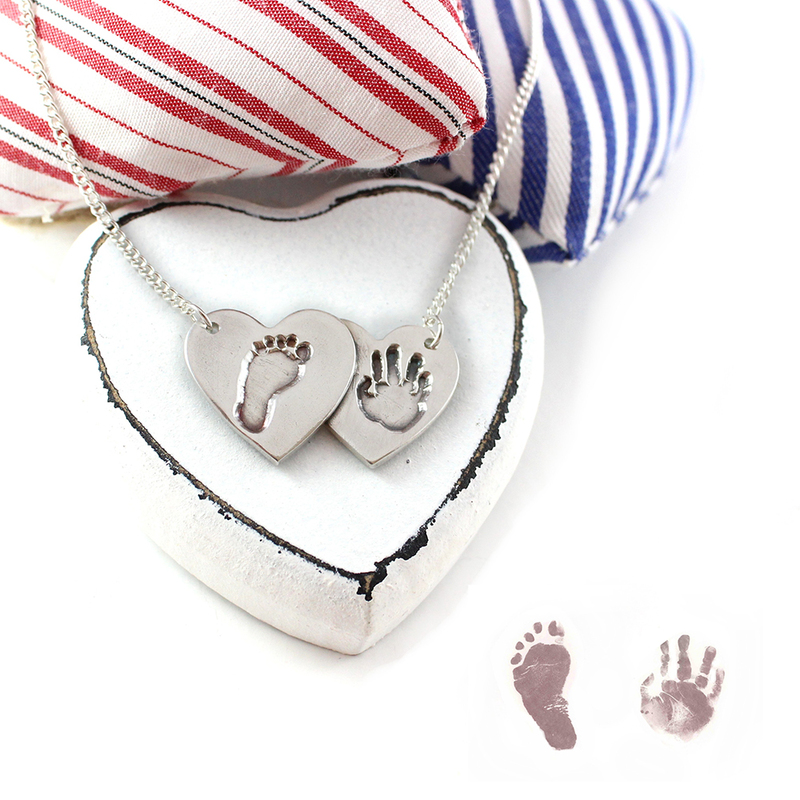 This is all free of charge and you will be able to detail your engraving requirements on your order form. Upon placing your order you will be sent a ‘kit’ to capture your prints in the comfort of your own home. The kits are very easy to use and full instructions will be included. Order forms and information for the return of the prints is included in the kit. If you already have prints you wish to use, Impressions to Keep will contact you to explain how to send them. If you have any questions at all, please use the ‘contact me’ form and I will do my best to provide the information you need as quickly as possible.